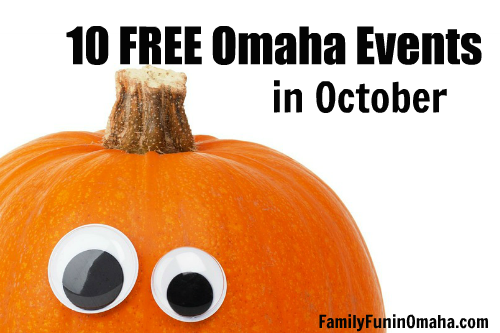 Enjoy many family-friendly events coming up in the Omaha area, including these 10+ FREE Events in October! 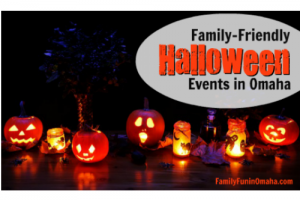 Find more events in the Halloween Fun Guide and FREE Halloween Events Guide! Please Note: As details may change, it is always a good idea to verify before visiting. 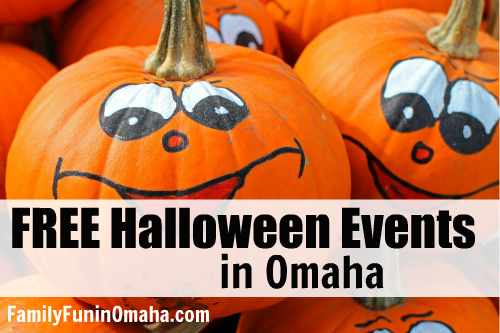 See many more FREE Halloween Events here for this week! Join in a lesson in science, technology, engineering, art, and math through a variety of projects. Ages 8+. Create, learn, and play at the Union Pacific Museum’s upcoming family night all about science and tech! There will be crafts, games, and activities. Come for a fun evening of activities and an outdoor viewing (Due to rain, the movie will be inside Mockingbird Hills Community Center gym (10242 Mockingbird Dr.)) of the Disney/Pixar Movie COCO. Activities will include temporary tattoos, corn hole, gaga pit, and freebies. The inside activity begins at 6 p.m. and the movie will start at 7:00 p.m. Participants are encouraged to bring a chair or blanket to sit on. Location: Mockingbird Hills Community Center, 10242 Mockingbird Dr., Omaha. 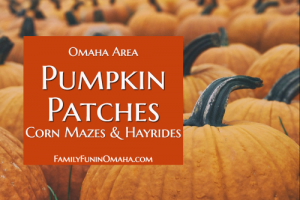 In addition to the regular market, enjoy free hayrack rides, bounce house for the kids, live music, and more. Location: Village Pointe, 168th – 180th & Dodge, Omaha. Celebrate National Fire Safety Month in our hands-on workshop where you and your child can build a model fireboat. Alebrijes are brightly colored fantastical creatures traditional in Mexican folk art. While usually carved from wood or made from papier-mâché, we’re creating kid-friendly Alebrijes out of Crayola Model Magic Clay. The 2017 film, Coco, will be playing while we work for extra inspiration. Location: South Omaha Library, 2808 Q St., Omaha. They will bring their Fire Truck for everyone to see. It will be parked in front of the Food Court doors. They will also be available to discuss Fire Prevention Week, which takes place from Oct 7-13th. Location: Oak View Mall, 3001 South 144th Street, Omaha. Start the day with a pancake breakfast at St. John the Baptist Catholic Church, enjoy the parade in town, then head on over to the fort for a day of music, food, antique tractors, living history demonstrations, speakers and more. A Park Entry Permit is required. Location: Fort Atkinson State Historical Park, 201 S. 7th St., Fort Calhoun, NE. Bring the whole family and spend the day enjoying: hatchet throwing, archery, marshmallow roasting, reptile shows, pellet guns and more. All activities are FREE! A Nebraska State Park Entry Permit is required. Lunch will be available from 11 a.m. to 1 p.m. Hot dog or Sloppy Joe w/ chips and drink for $3. Canned pop or water for $1. The Omaha Fire Department will be here to teach kids all about how they can help prevent fires from ever happening. Celebrate the Garden’s 17th anniversary with FREE admission to Lauritzen Gardens from Thursday, October 11 through Saturday, October 13, 2018! Join in for storytime with a mystery superhero! This event will be held at the back of T.J.Maxx. Location: Shadow Lake Towne Center, 72nd Street & Hwy 370, Papillion. Join the Ralston Library as they read stories, sing songs, receive some fire safety tips, and explore some fire trucks. Drive, build, program, and play with robots, LEGOS and other STEM toys. Featured activities may include Sphero, Dash, LEGO Boost, Botley and other robots, coding games, Keva planks, AR/VR experiences and more. Beginners and experts are welcome. Fun activities for the whole family. Free Heron Haven field guides, lemonade, and decorate your own nature cookies. Celebrate the 150th Anniversary of the Oregon and California Trails. A film shows at 1 p.m. Family activities from 1 p.m. to 3 p.m. Location: Western Historic Trails Center, 3434 Richard Downing Ave, Council Bluffs. Enjoy a rockin’ concert with Eckophonic, followed by Cars 3. Plus, there will be fire pits, s’mores, outdoor games, and more for the whole family. La Vista Soccer Complex, 7346 S 66th St, (just south of 66th & Harrison Streets), La Vista. You will be “locked” in a meeting room with puzzles, clues (and a few hints) to see if you can figure out how to get out before your time is up! Each hour, they will have one escape room for kids in grades 2-4 and a second escape room for kids in grades 4-6. 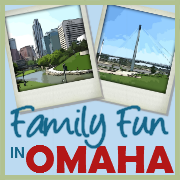 Call 402.996.8037 or email nnovotny@omahalibrary.org to sign up for a one-hour room. Maximum of 8 kids per room, and at least one parent per room. Registration opens October 1. Location: Millard Branch, 13214 Westwood Ln., Omaha. Teams of teens will be “locked” in a meeting room with puzzles, clues (and maybe a hint) to see if they have what it takes to figure out how to escape. Teams have 60 minutes to solve the clues to beat the room. Each hour includes one escape room for one team of 8 people, will include 1-2 adults to offer assistance. This event will offer three escape rooms and each one will be for grades 6th-8th. Please email PChristopherson@omahalibrary.org to sign up for a 1-2, 2-3, or 3-4 P.M. time slot. Or, you can call Paul at 402-444-4848, ext. 3. Join the Omaha Public Library in the garden each month for stories that celebrate gardens, plants, insects and more, and discover the joys of nature, movement, music, and literature. 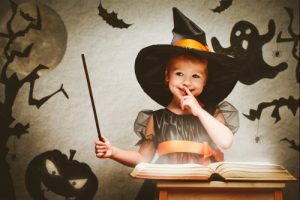 Programs are presented one Friday per month from June through December 2018, and are geared towards preschool aged children, but all ages are welcome. 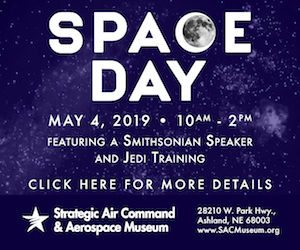 This is a free program, but pre-registration is requested. Programs will be held outdoors and will be moved indoors if necessary. Try some of fall favorites, like apple cider and Ditmars apple cider donuts, and garnish your very own caramel apple. Location: Hy-Vee, 1000 S. 178th St/, Omaha, NE. Join in Trot for Tots with local Marines to kick off the Toys For Tots campaign of 2018. Accompany Marines in uniform as you walk a mile around Elmwood Park. 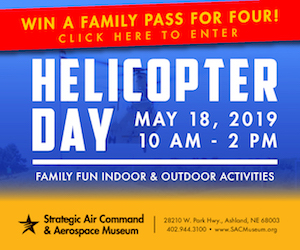 There will be military vehicles on display, giveaways and a variety of food trucks in attendance. There will be several drop boxes for any monetary donations of your choice, or donations of new un-wrapped toys that kids of all ages can enjoy this Christmas. Location: Elmwood Park, 808 S 60th St, Omaha. Come and celebrate their 16th birthday! Rainbow Trout the Clown will be performing a fun, silly, interactive, and educational magic show featuring her puppet “Mr. Bunny”. Enjoy FREE Admission to the Durham Museum all day on Saturday, October 27, 2018, for a “wild” celebration featuring Thomas D. Mangelsen himself! Enjoy playing latest game consoles, as well as a retro gaming station for old-school gamers out there, or grab a board game—choose from over 100 titles. Location: Council Bluffs Public Library, 400 Willow Ave, Council Bluffs. 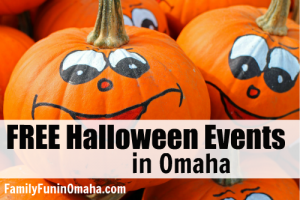 See MANY FREE Halloween Events here for this week!